Christmas is the season of giving and here at Royale, and it is sans the hefty price tag so that many more of us can enjoy without having our wallets take a beating. That’s not to say they’re skimping on anything. When you think of Christmas, you think of indulgence, you think of a celebration, and with Royale’s Santa’s Christmas Circus Festive Buffet, there is no better way to jingle some bells and make some merry. Watch the flavourful magic of Christmas come to life in an enticing festive feast featuring over 40 scrumptious Yuletide dishes. We’re talking about Truffle Cheese Fondue, a Live Outdoor BBQ station and show-stopping meat-focused centerpieces, all lined up like presents under the Christmas tree for you. You’ll be glad to know that the circus will be in town from the 10 Dec 2018 until 01 Jan 2019 so you can ring in the new year with festivities too. For prices as low as S$48++ per pax, there’s no reason to let this festive opportunity pass you by. For the extra star on top of the tree, our readers can quote ‘ladyironchef’ for 25% off Royale’s festive dinner buffet at only S$36++ per pax for lunch buffet and S$51 per pax for dinner buffet (valid every day except for Christmas Eve and New Year’s Eve). If you’ve already been to Royale, you’ll understand how the opulent baroque style furnishing of the place fits the Christmas theme to a T.
Royale—known for their extremely affordable buffet spreads—has now launched their newest Weekend High Tea Buffet showcasing tea time delights spanning from local delights to Western favourites. 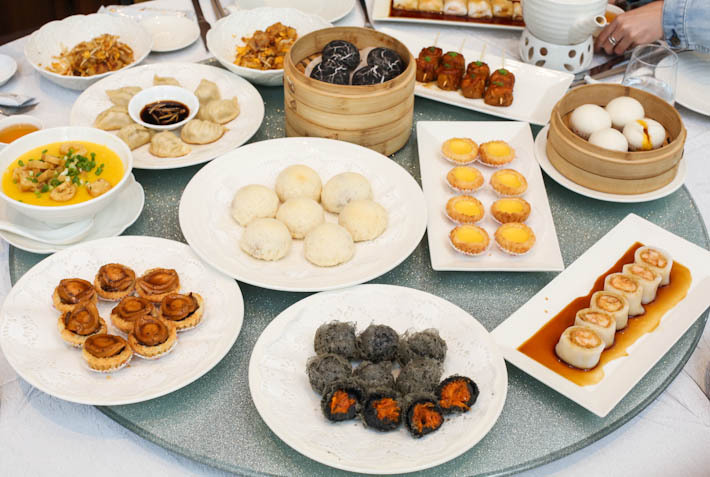 Specially crafted with a leisurely weekend gathering in mind, feast to your heart’s content at the gorgeous baroque-style dining hall that features dim sum counters, a sandwich bar, desserts and many more. Bask in an indulgent afternoon of over 40 delectable teatime delights with scrumptious international and local lunch staples alongside a Live Dessert Station. Royale Weekend High Tea rotates between two different menus for Saturday and Sunday, both created in the spirit of a communal feast that is family-friendly and very pocket-friendly. On the international front, the line-up features classics such as a fresh selection of sandwiches, salads, and brunch fares such as Eggs Benedict and Beef Sliders. Royale also allows you to enjoy the best of both worlds with local delights such as oyster omelette, nasi lemak, and DIY rojak. Royale’s Weekend High Tea Buffet is available on weekends, Saturday and Sunday, during lunch hours from 12pm – 3pm at only S$48++ per adult and S$24++ per child. Kids under 6 years old dine for free. And here’s the sweetest part: quote ‘LADYIRONCHEF30′ upon making your reservations for a whopping 30% discount off the weekend high tea buffet at S$33.60++ per pax. The Bugis enclave has come a long way since its earlier, sleazier days. Now, things have smartened up for the place with the many slews of hipster cafes, shopping centres and even classy new hotel establishments such as Andaz Singapore. While the area is evolving into a shopping paradise for both locals and tourists alike, one thing still remains unchanged—the food scene here is immense. 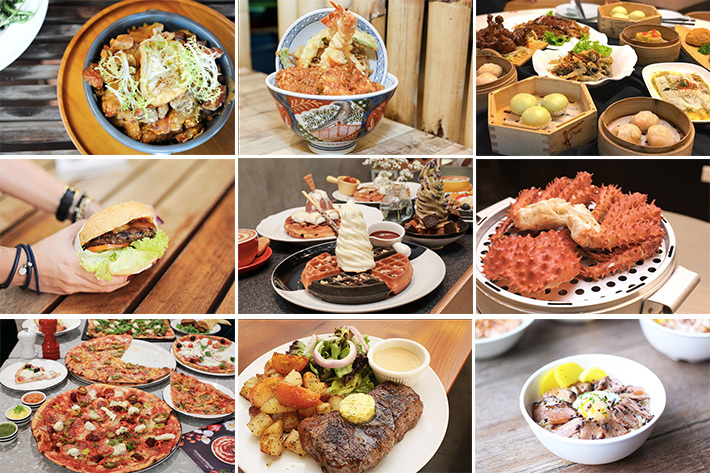 Sussing out some of the best from the old to the new, from glitzy restaurants, cosy cafes and humble hole-in-the-walls, here is our list of 52 cafes and restaurants in Bugis. Royale at Mercure Singapore Bugis has, once again, successfully challenged themselves and raised their own bar for buffet spreads. With an extremely competitive pricing coupled with a scrumptious buffet spread that is set to impress, Royale is ready to dazzle with their Surf & Turf buffet lineup that features the house’s best seafood and meat recipes from March to May 2018. Leading the culinary team is Executive Chef Nicholas Sia who will introduce more than 30 seafood and meat delights that are inspired by Western and Asian cooking techniques. Be treated to the wonders of both land and sea! The line-up will feature Nyonya Baked Seabass Fillet with Pineapple Slaw, Homemade Lor Mee with Crayfish, BBQ Pork Ribs with Lychee Pearls, and Duck Confit with Tomato and Garlic. And this isn’t all, of course! From 08 Mar to 27 May 2018, Surf & Turf is available on Thursdays through Sundays for dinner, as well as lunch on Saturday and Sunday at only S$58++ per adult and S$29++ per child. And to sweeten things up, quote ‘ladyironchef’ upon making reservations for a 25% discount.